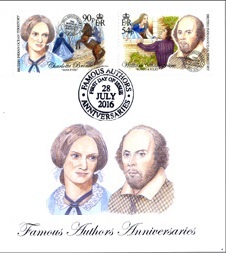 Hot on the heels of Charlotte Brontë’s 200th birthday, April 23rd 2016 marks the 400th anniversary of the death of the greatest playwright of all time – William Shakespeare. It’s a day when people across the world will celebrate his wonderful work, but what did the Brontës think of him, and what influence did he have on Anne Brontë in particular? The Brontës, home educated though they were to a large extent, were much better read than a lot of their contemporaries, as Patrick allowed them free reign to read what they would, rather than censoring or limiting their reading materials as many fathers would have done. They also had access to the complete works of Shakespeare in an incredibly rare first folio. It was housed at nearby Ponden Hall, two miles directly across the moors from Haworth and a place that Emily and Anne in particular often visited. 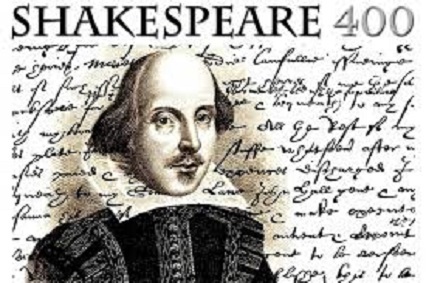 In the early nineteenth century it had one of the largest private library collections in Europe, and pride of place went to that Shakespeare first folio. Alas it has now left Ponden and its whereabouts have long since been lost, as it would today be priceless. Can we see Shakespeare’s influence on any of Anne Brontë’s works? How about The Taming Of The Shrew? A woman living in a man’s world, strong willed and determined to stand up for her own rights. Of course whilst Shakespeare eventually subjugates his Katherina, Anne insists on the triumph of Helen in her The Tenant Of Wildfell Hall. I love Shakespeare (not quite as much as I love the Brontës of course), so I’ll be joining in the celebrations, just as I joined in Charlotte’s ‘Brontë 200’ celebrations in Haworth on Thursday. It was a wonderful day, and I was especially pleased to meet some of this blog’s readers and fellow Anne fans there. While in London, CB silenced fellow diner guests with her opinion of Macready’s performance in Macbeth and Othello. She had to have a great interest in Shakespeare to alot two of her London evenings to performances his plays. She was choosy about where her time was spent , as it had to be worth the energy it cost her. The Brontë children engaged in play acting when young ( I believe one of the Garrs sisters was pressed into a role of a princess in distress ) so CB makes her theatrical assessment from the position of a player, as well as author. She values acting, “Villette ” shows that, …just not Macready’s acting or the style fashionable then . It would have been great for us if Charlotte expounded more on her understanding of Shakespeare.